Kathy is widely recognized for her expertise in tax planning and financial consulting for not-for-profit organizations. In that capacity, she is frequently called upon to conduct in-house training seminars. Kathy serves on the Board of Assessment Appeals for the Town of Cheshire, Connecticut. 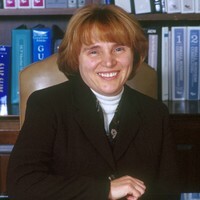 In the past, Kathy has served on the Accounting Advisory Board for the Stone Academy, the Development Committee for the City of New Haven’s International Festival of Arts and Ideas, and is the former treasurer of the Cheshire Chamber of Commerce, former vice president of the Southern Connecticut Chapter of the Muscular Dystrophy Association, and was a board member of the Community Health Charities of South Central Connecticut. She also served two terms on the Cheshire Town Council, was treasurer for both the Cheshire Challenger Little League and the Cheshire Democratic Town Committee, and served as vice-chairperson of the Cheshire Commission for People with Disabilities. In addition, she is a member of the American Institute of Certified Public Accountants and the Connecticut Society of Certified Public Accountants. Kathy received her Bachelor of Science Degree in Accounting from Quinnipiac College.